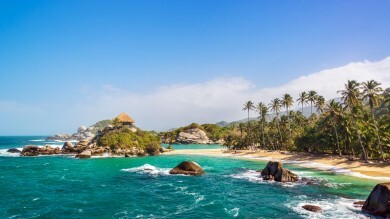 Home › South america Tours › Colombia Tours › Colombia Travel Guide › The Lost City Trek in Colombia: A Guide for Adventurous Spirits! 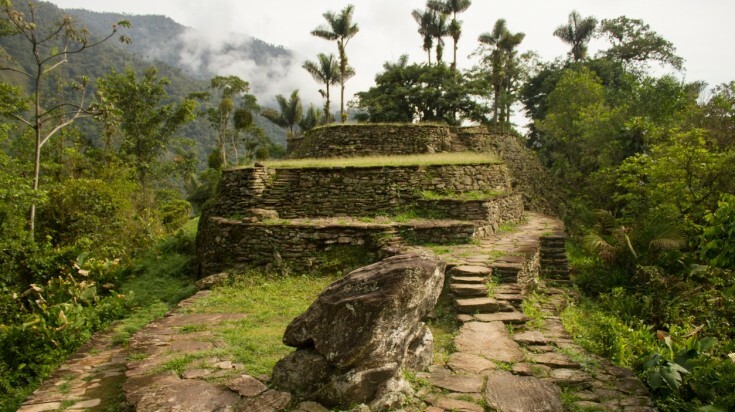 The Lost City, or known locally as Ciudad Perdida, is one of the largest pre-Colombian towns that has been discovered in all of the Americas. Its ancient ruins are only reachable on foot, offering one of the most exciting and rewarding treks in Colombia — the Lost City trek. The Lost City trek consists of a challenging 4 to 6-day trip through Sierra Nevada National Park. You will get the exceptional opportunity to experience indigenous cultures and unique wildlife before finally reaching the mystical site of the Lost City. You will start off the first day fairly gentle, with the second day being the hardest, involving a full-day of uphill trekking and river-crossings. 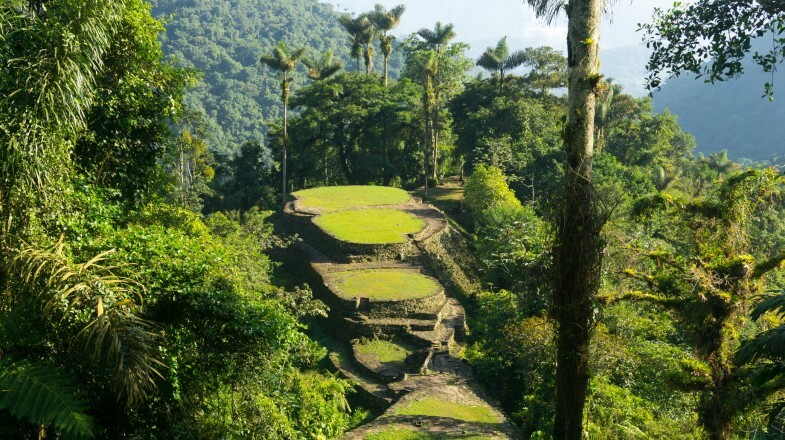 On the third day, you will climb up 1,200 ancient stairs to reach and explore the Lost City. 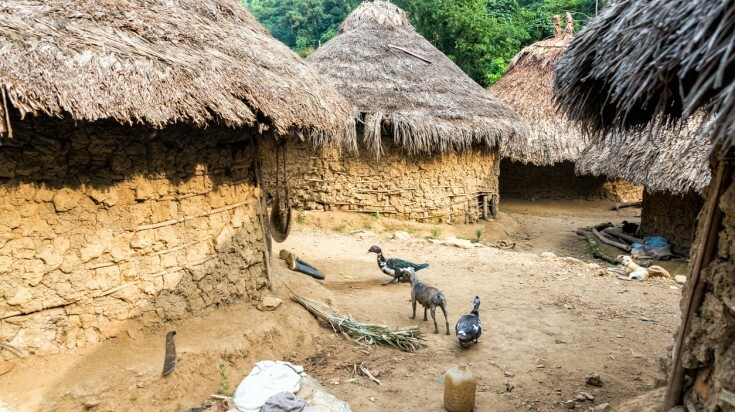 Best season: Although the trek can be done year-round, it is highly recommended to do it during dry season (December – early March). Wet season will see muddy trails and the river current will be much stronger. Fitness level required: Good. If you exercise regularly, you will be fine. Start the journey with a 3-hour van ride from Santa Marta to El Mamey. After lunch, you will set off on the first leg of the trek. Today is the easiest part of the entire trip, consisting of a gentle 4-hour trek to Adán Camp where you will spend the first night. This day is the most challenging of them all, as it is the only full day of hiking. You will be up at the crack of dawn and depart the camp at 6 am. 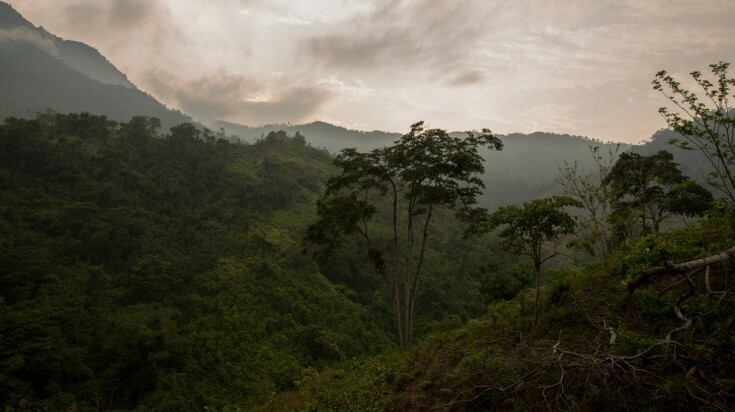 The trek that awaits is long and grueling, with many difficult uphill stretches and river crossings — the water can be deep and strong during raining season so be especially careful. You will be making a few short stops to break up the long trek, until you arrive at El Paraiso Camp. Day 3 is yet another 5 am wake-up call. 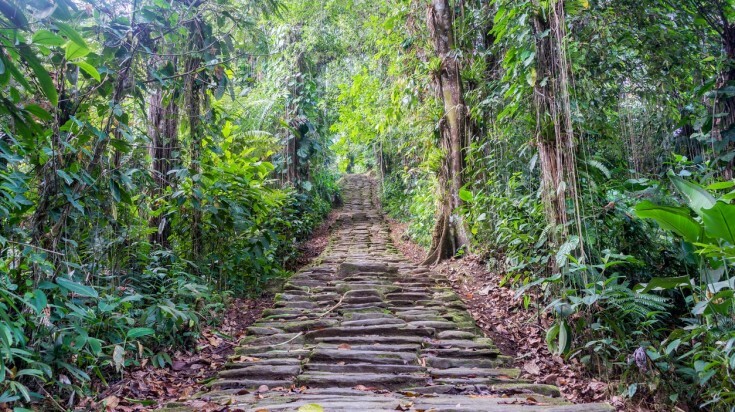 A light 6-kilometer trek will lead you to the start of the 1,200-step climb to the Lost City. This will take just about 20 minutes and once you make it to the top, Tayrona city will finally be in front of your eyes. Take the time to wander through the historic ruins, while listening to the guide reflect on the ancient civilizations that occupied the city back in the 14th century. Marvel at the giant terrace platforms that slowly climb one above the other. After the site visit, you will trek back a few more hours to Mumake Camp and spend the night there. On the last day, you will set off on a fairly easy 4 to 5-hour trek towards Adán Camp (where you have stayed on Day 2). After a quick break, make your way back for another 4 hours to the starting point in El Mamey. Enjoy your last lunch and hop on a van that will bring you back to Santa Marta. Trekkers are picked up by a van at Santa Marta between 9 – 10 am and brought to El Mamey where the trail starts. It is about a 3-hour ride. Insect repellent is a huge must for this trek. As you will be trekking through the jungle during most of the time, mosquitos and bugs of all kinds are everywhere and if not prepared enough, you will suffer from hot red welts throughout the whole trip. A tip from the locals: buy a tube of Nopikex in any of the pharmacies in Colombia. It is a DEET soap which will coat on your skin and act as a barrier, and is proven very useful against bad bugs. During lunchtime on Day 1, you will most likely be offered a wooden stick by those who have just finished the trek. Accept the offer, it will come in handy. Especially when it rains and the trail gets muddy and slippery, a walking stick is the best help you can get. You will be in charge of carrying your own belongings so pack as light as you can; a small day-pack would be fine. The weather is mostly hot and humid and when hiking a steep ascent, having a minimal amount of weight in your bag definitely helps. In addition to light-packing, everything you bring should be quick-drying: the jungle is extremely humid and nothing dries overnight. The Lost City trek is probably the most rewarding trek in Colombia and has become the biggest highlight of many travelers’ South American adventure. Whether you want to discover the Colombian native heritage or explore the stunning wildlife of Sierra Nevada, the Lost City trek surely won’t disappoint! Looking for the best places to stay while visiting Colombia? Check out the 7 best hotels in Colombia that are worth your bucks!